This summer, Boots Hockey Club was awarded funding totalling £149,000 from Sport England’s Inspired Facilities fund, Nottinghamshire County Council’s Legacy Fund and England Hockey’s Capital Investment Programme to replace the astroturf hockey pitch and upgrade the floodlighting at the Nottinghamshire Sports Ground, Lady Bay, Nottingham. Boots Hockey Club is among 324 local sports projects to secure a share of £17 million of National Lottery funding from Sport England’s Inspired Facilities fund. Since 2011, Inspired Facilities has been helping breathe new life into tired community sports facilities and converting existing buildings into venues suitable for grassroots sport. The existing pitch was reaching the end of its life and becoming dangerous to play on, particularly in wet weather. The new pitch and improved floodlighting will enable the club to continue recent growth and develop their junior academy, as well as provide an improved facility for other community sports users. To celebrate the new astroturf pitch, Boots Hockey Club are holding an opening event on 12 October 2014. The event is open to the local Rushcliffe community and all hockey players and supporters in Nottingham. Through the opening event, Boots Hockey Club aims to promote both the attraction and development of new and junior players, the continuing development and retention of older players, as well as celebrating recent representative honours for Lynn Combes and Ann Fairbrother. 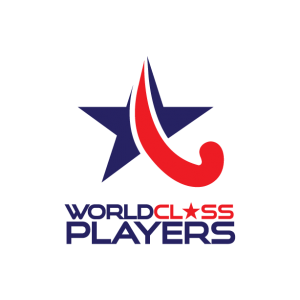 During the summer, Lynn Combes was selected and played for the England Masters over 40’s at the Hockey World Cup held in Rotterdam, Holland where they brought home a bronze medal. She was also selected together with Ann Fairbrother to play for the England Masters over 40’s team in the Home Nations in Swansea, which they won and brought home a gold medal. The opening event will take place on 12 October 2014 at the Nottinghamshire Sports Ground, Lady Bay, Nottingham, NG2 5AA. A junior training session will kick start the event at 9:45am with an appearance and coaching from Nottingham-based England indoor international, Sam Ward. Sam re-joined childhood club Beeston last season, where his 21 goals in the NOW: Pensions Premier League helped them to the Premiership title and earned Sam a call up to the England Indoor team and now a central contract with England Hockey. There will then be an official opening ceremony by Kenneth Clarke (Conservative MP for Rushcliffe) and ribbon cutting. This will be followed by Boots Hockey Club ladies’ first team playing against England Hockey Masters ladies and Boots Hockey Club men’s first team playing against the England Hockey Masters men. Throughout the day there will be sports wear and Indian street food for sale from our West Bridgford based sponsors, Mad Dog Sports and Slumdog.